mahdia – Pourquoi pas !! 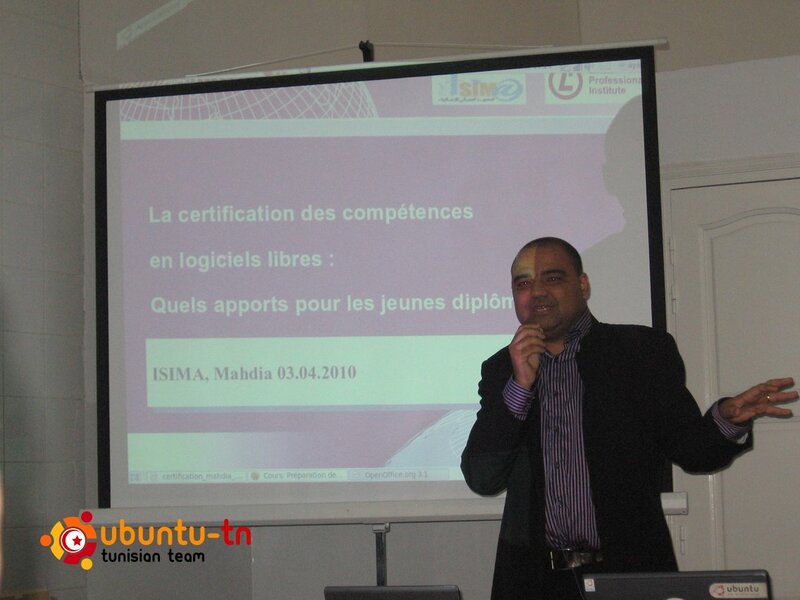 ISIMa event (Istitut Supérieure d’Informatique de Mahdia / Higher Institute of Computer Science of Mahdia) started one day before in the evening, when I had to travel to Monastir to stay at GoldenScorp’s home. The Same was for Akira who travelled to Mahdia to stay with his friend from Mahdia. 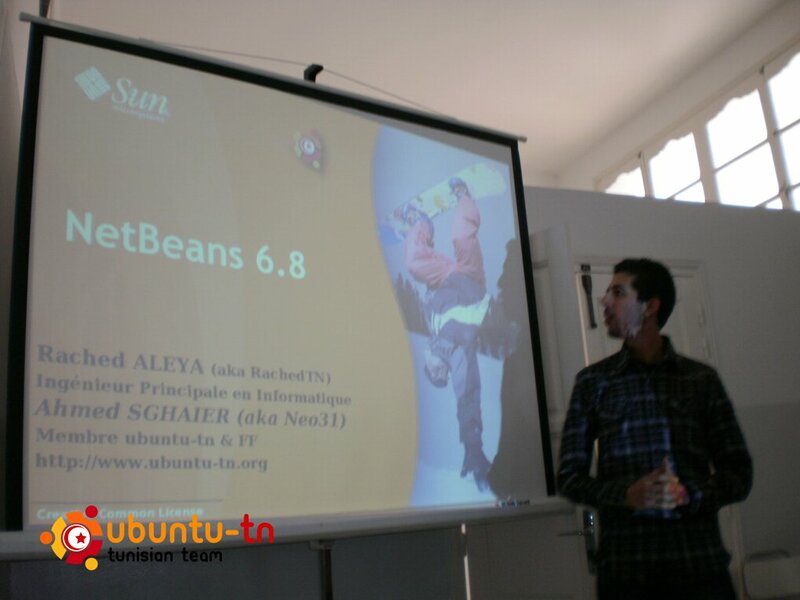 At night I connect to #ubuntu-tn IRC channel to get the Drupal and NetBeans presentations from RachedTN, who unfortunately was not able to attend to to ISIMa event after a last time change at work. Well I got the presentations that I tried to prepare a little before going to sleep. Awake early the morning, I went with Goldenscorp to join nizarus on the way to Mahdia where we met Mr Imed Hamouda, Dr. Tech. 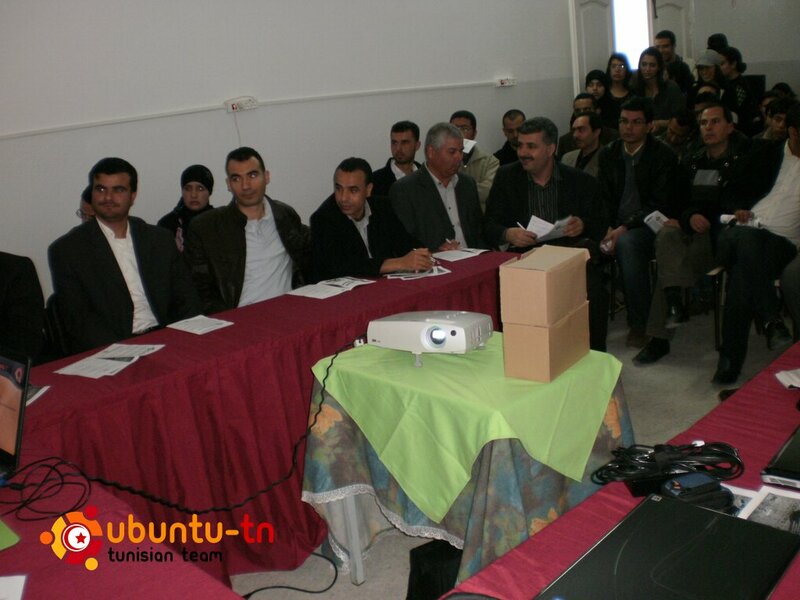 Adjunct Professor at Tempare University of Technology, who came from Finland to give a conference about Open Source. 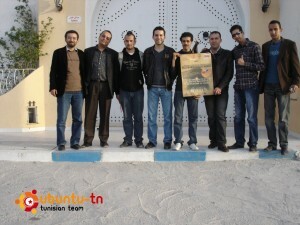 In fact, it was a good opportunity for him to see a part of the Tunisian Free and Open Source community in action. Received by ISIMa staff, Mr Salaheddine, we joined the other ubuntu-tn members (tarekDJ, Akira and his friend) who was already there and we had a little talk with ISIMa’s director Mr Hammadi Ben Naceur. After, LPI Maghreb joined us few minutes later, we started with ubuntu and free software introduction presented by nizarus in front of more than a 100 students and few professors and staff from ISIMa and LPI Maghreb. 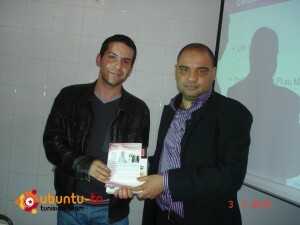 The presentation was very interesting introducing the software freedom philosophy. 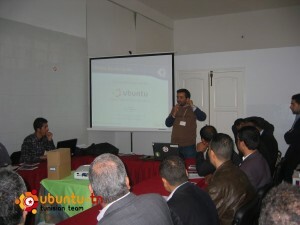 How easy, reliable, stable and secure to use ubuntu. 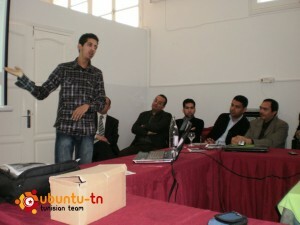 I think it was very useful to the present students, they learned about a different operating system. The next conference was about certifications, presented by LPI Maghreb who introduced it very well as they talked about it’s importance, the different available certifications, how to prepare for it, how to pass the exam as they talked also about the importance of certifications for enterprises and business not only for students and professionals. With the impressive interaction between the presenters and the present people asking and answering questions, TarekDJ took a little reward from LPI Maghreb for his great effort designing the event’s poster before we took a little break. In that few minutes I connect my laptop to the data show to check everything is fine and I played a little with my lamp installation before I started the Drupal conference. I introduced the new concept of web CMS and how easy it is now to make a website comparing to how people did it few years ago, presenting the basics of free software and web CMS I showed them some examples of what Drupal can do based real web sites developed using Drupal. When we talk about Drupal we have also to talk about web servers and implementing their websites, so I also talked about LAMP and how they can install it and use it on their computers. 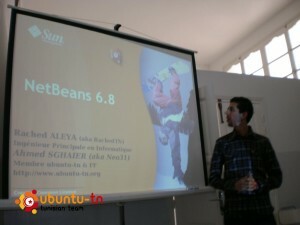 Finally the last conference was about NetBeans IDE that varied from the basics to some advanced talk. I showed them how to install it on their systems as I talked about it’s portability and availability on other operating systems. The interaction was quiet good with both of Drupal and NetBeans conferences. 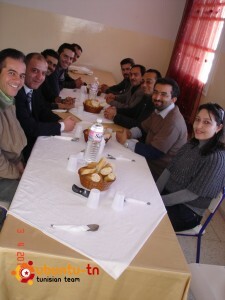 Losing a lot of energy presenting and following all the conferences, everybody got hungry so we had to go for lunch in ISET’s restaurant where we had an interesting talk. The last thing we have to do now is to make the first step of practice. It’s the install party where nizarus had to show them how to install ubuntu in practice assisting few students who wanted to install ubuntu on their laptops and distributing ubuntu install CDs to some other students who wanted to install or try it on their computers. In the end of the install party, the famous GNU showed up, so we had a nice time taking pictures with him before we say good bye to Akira and TarekDJ. After having some coffee in Al-Mashmoom, we went back home with nizarus who took me and GoldenScorp to Monastir before going back to Sayada, then I left GoldenScorp to take the Metro back to Sousse. Report by Ahmed alias Neo31.